So I couple of weeks ago I told you all that I’d ordered something new for the living room. 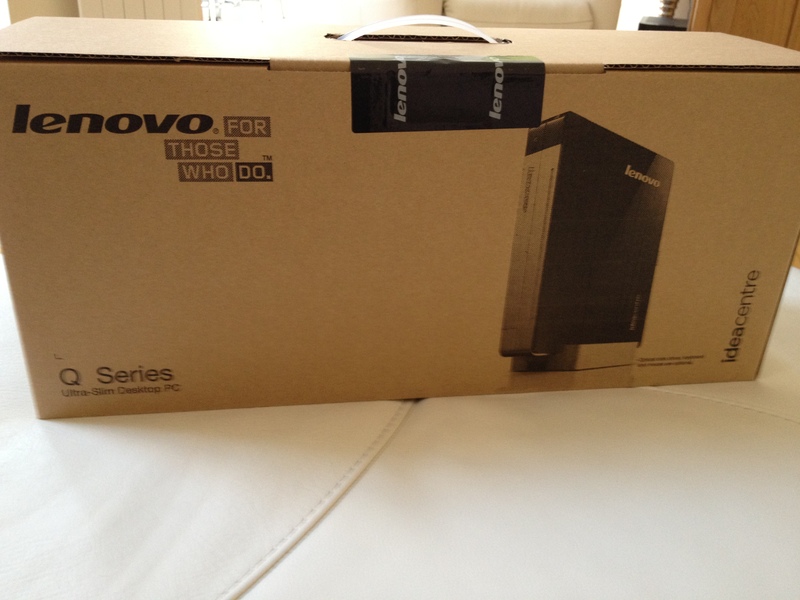 My new toy is in fact a Lenovo IdeaCentre Q180 Nettop. The main reason for this purchase will be apparent to regular readers of my blog. For those who have just popped in to see what the fuss is about, have a look at my posts on TuxTV and XBMC. I chose the 320GB version, with 2GB of RAM and no external optical drive. It’s worth pointing out though that the device can be purchased with either a DVD R/W optical drive, or a Blu-ray & DVD R/W combo drive. This clips onto the product nicely and fits in both the provided stand, and the provided TV mounting bracket. eBuyer currently have this version on sale for £168.99 inc. VAT + P&P. I did however manage to pick the product up for £160 + P&P after using a corporate discount scheme. I chose to spend the money I saved on getting next day delivery purely because I hate waiting for things to come – Especially geeky stuff. The version I purchased came with FreeDOS installed, as I didn’t want to purchased a Windows license with the product. You can however purchase it with either Windows 7 Home Premium, or Windows 7 Professional. It’s probably cheaper to purchase the product on it’s own, and then get the required Windows license. As I’m a Linux user, I didn’t want to go down this route. UK and EU power cord. Warranty, Installation and Disposal Documentation. After unboxing an starting up the device I noticed it boots very quickly into the installed operating system. This is good for a media centre device, but isn’t very helpful when you want to change the BIOS settings. As with most Lenovo devices pressing enter when the device starts should take you straight to BIOS, but you have to be quick. For some reason manufacturers seem to like setting the boot priorities wrong on almost every device they ship. This isn’t just a problem with Lenovo, but with Dell and HP too. When you first get the device started, you will need to change the USB HDD and FDD to have a higher priority than the built in HDD. If you’ve got one of the optional disk drives, you also need to make sure that this is set correctly to boot before the hard drive too. This isn’t vital, but it will annoy the hell out of you having to press F12 each time you want to boot from CD. My intentions for this device is to be used as a media centre device running XBMC. I’ve found that XBMC tends to run better on the system it was designed for (Linux). My chosen distro is Ubuntu (specifically 10.04 LTS). You can go for a new version, but I’m not a fan of the Unity additions in recent versions. Feel free to use OpenElec or anything that will run smoothly on x86_64 architecture. If you really want to, use Windows, but I wouldn’t recommend it. Installing Ubuntu using a USB flash drive was fairly straight forward. It uses default open source drivers for the hardware and boots very fast! If you go for the model with a SSD inside I can see this device booting in less than 10 seconds. My device takes around 15 seconds to get passed BIOS, Grub and into Ubuntu, and a further 2 seconds-ish to launch XBMC. I’m sure disabling some of the start up services could also reduce this time (Or using OpenElec or XBMCbuntu). The only issue I did have is installing the AMD ATI Radion HD drivers. Without these you cannot use the GPU to acellerate any graphics, so anything really heavy will kill the Atom processor, slowing the whole system. It seems AMD aren’t open source fans, and getting the proprietary drivers for Ubuntu was a complete pain. After many wasted hours, lots of four letter words and many reboots I did manage it. (See this tutorial). After installing the graphics drivers, XBMC will launch perfectly and I’ve managed to get a Blu-ray streaming over the network to play without stuttering or breaking up. It’s worth pointing out that this was only possible using the built in Gigabit (1000mb/s) wired connection. Although the built in wifi controller is really good, it’s just not possible to stream anything of that size without killing everything else connected to the access point or router. You many or may not need to install the RealTek Ethernet driver to do this. I found that with 10.04 I was able to connect to the network perfectly without needing to do this. However using OpenElec I wasn’t able to. Another great Lenovo product. 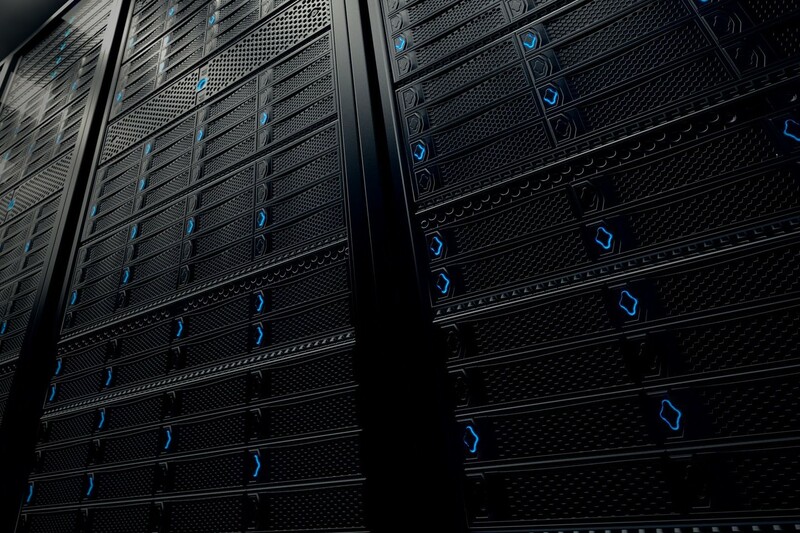 Lives up to the build quality of all IBM and Lenovo products. Very easy to setup. Booting speed is a little too fast for first boot. Lack of BIOS prompt is also annoying. For Windows users (if purchased with pre-installed) I can see this device being very easy to setup and install. Overall the device is a nice, clean and tidy media centre solution. It’s compactness makes it easy to hide in the living room (on the back of the telly with the bracket is the best). 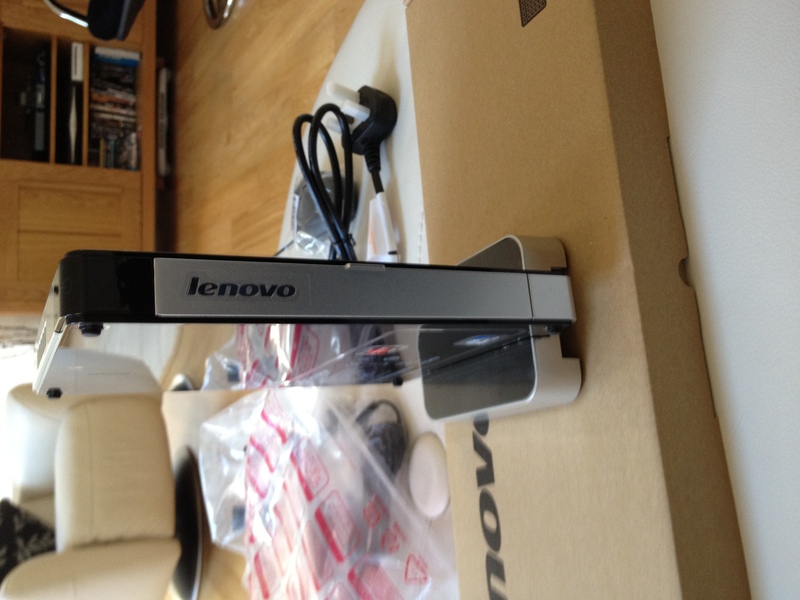 For an extra £45 Lenovo also provide a media centre Bluetooth remote and keypad (which looks really, really cool!) I’m not too sure how well this would be supported by XBMC, so I am looking for a USB IR receiver in order to use my Logitech Harmony remote with it. Hopefully you’ve enjoyed my review. If you have any questions, feel free to ask me, but my responses are not an official response from either Lenovo, IBM or any of it’s partners or sales teams. I didn’t choose this product because I work for IBM. I chose it purely on it’s specification and external reviews. 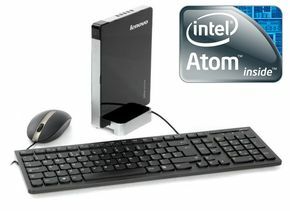 I’m thinking of purchasing one of these babies atm, however I did find myself a few posts concerning the setup of the AMD chip on Ubuntu (It might differ on Ubuntu 11.04 though, I don’t know). How would you compare this one to this Revo? I was initially going for that one since I saw that deal. I did look at the Revo as well, but decided to go for the Lenovo product mainly because of the increased processing power. I know it’s only 1.8GHz per core Vs. 2.13GHz, but it does make a difference on a chip like this. Yes, there are a few issues getting the AMD ATI Radeon chip working on Ubuntu. I’m going to post a tutorial on how I managed to get it working shortly. It’s not that complicated, it’s just a bit strange. And once it’s installed, it works perfectly (As far as I can tell as I’m not using the 3D functions.) Full HD is spectacular from a unit this small. With the Revo its mainly less processing and more space, or more processing and less space with the Lenovo. Being as I have all my movies and music on a home server I don’t need the space on the device, only processing power, which the Lenovo handles really well. Personally, I’ve never been that much of a fan of the build quality of Acer products either. They always seem tacky. 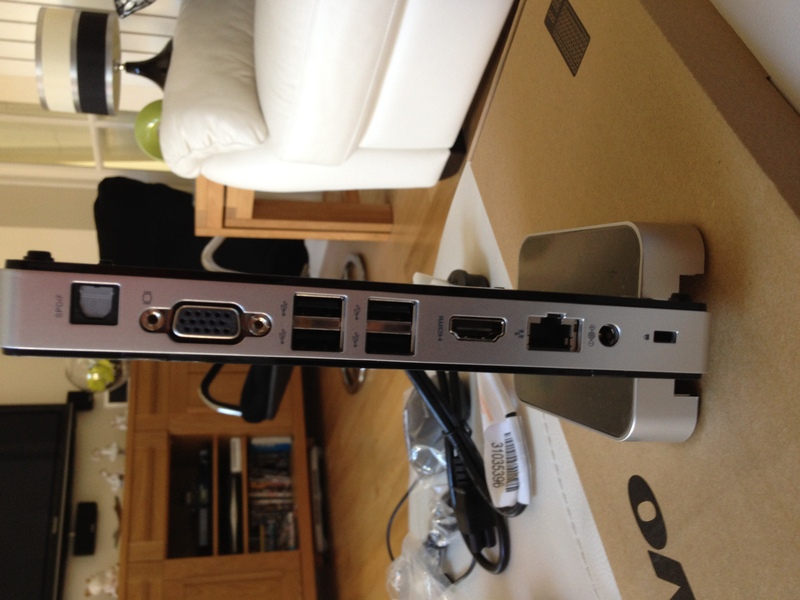 Lenovo however have always amazed me with how well the products are designed and built. Hi, Thanks for your review, I’ve got a q180 and runnig 11.10 ubuntu I’m struggling with the sound and video driver, can you link to the tutorial? Sorry! It’s been a busy day so I’ve only just read this. I’ve only tested my method on 10.04, but it should work on 11.10. I’ll try to knock up a tutorial tomorrow after I’ve finished work as I haven’t got time right now. Hi, thanks for the great info. I bought one of these yesterday but am having issues getting sound through hdmi. Does you hdmi sound work out of the box ? I tried XBMCbuntu first, but no hdmi sound. Next I tried Ubuntu 11.10 and tried the sound card test within that – still no hdmi sound. I attempted installation of the Realtek HD audio driver for linux – seemed to be doing things in the terminal window, but then still no hdmi sound. I’m new to linux / ubuntu and the whole driver thing is making me love windows which is a shame becasue the ubuntu desktop is great. Please can you help me ? I’ve not had any issues getting sound to work this end. I’ve attached a screenshot to the link below with my sound setup in Ubuntu 10.04. I can confirm I’ve got working sound over HDMI. You might need to play around with the settings in XBMC? Hopefully these screenshots help and you will be on your way to a perfect system. Rob, you’re a diamond ! I spent ages struggling with XBMCbuntu and also Ubuntu 11.10 but couldn’t get sound through HDMI. Then last night I followed your graphics driver tutorial and installed AMD Catalyst. On rebooting, I got sound through HDMI !! I had issues with sound too, but once I installed the graphics drivers from rpmfusion I was able to get sound through HDMI with some tweaks to the sound settings in Fedora. I’m still not convinced however that these are the best drivers, no if I am getting HD hardware acceleration. I’m about to read Robs graphics driver tutorial to see what I can learn. I just bought one too, from the same source, but a 4Gb, 750Gb HDD model with DVD drive. I’m impressed so far, and I too think the quality is impressive. It’s almost silent and so small. There are plenty of ports, but the front door is a bit silly. If one plugs anything at all in, the door has to be open, which rather spoils things. I have the groovy handheld and on the whole I like it but it has no function keys which makes some stuff difficult. To access the BIOS to set up the boot order I had to press esc+F1 using a mac keyboard from my iMac. Now I’ve done that I’m going to run a live Distro and see how it goes. Hi I am using xbmcbuntu from xbmc.org on my Q180. I have it nearly working with my XP MCE remote. The bit I havent got working is waking up when pressing the power button on the remote. So my question is do you know what BIOS settings I have to use to do wake on USB event? Alternatively the xbmc remote on my android phone works well so do you know where I set WOL in the BIOS? Ah that’s great news. I’m still playing around with my Logitech Harmony trying to get it to work with my setup. I haven’t found a Wake On USB setting in the BIOS options, so I’m not sure if it’s possible. Might require a BIOS update (if it’s possible). I’ve not got my device with me at the moment, but I’ll have a look for a Wake On LAN setting in the BIOS when I get back. I managed wol and it works great using my phone. I can’t find a way to do a USB wake for the mce remote. So think your right about a bios upgrade. Thanks for those links. The first one looks good for me. I will give it a go when I get time. Unfortunately work is taking over at the moment so it may be next week now. Would you perchance be willing to publish your HDMI sound settings for me to try? No problem! Yes, it was a good deal at the lower price. It’s a shame to see that eBuyer have increased the price, but no doubt it will come back down again soon enough. I am however running OpenElec (Latest Stable) with Live TV enabled, so it might be different. I just got one the same as this Im banging my head against the wall trying to install any form of windows on it Im about to jump on it £200 waisted unles i can get some help with it any ideas as to where to go before i get stroppy with the seller ??? It shouldn’t be too hard to install Windows on this thing, if you really want to? I wouldn’t recommend it though. While it will run Windows, you will get a lot more out of it with Linux and XBMC. Having issues getting openelec to see any partitions on my internal SATA drive on the Q180. Did you have any similar problems? I’ve not had any issues with this myself. Which version of OpenElec are you using. I’m using the latest stable PulseEight build. Which PulseEight build are you using, theone for Generic GPUs ? Just want to know before I spend hours with the wrong one. Also, what benefit is there to Pulse over teh openelec.tv builds? I’m using the standard OpenELEC builds now, after having issues with the PulseEight ones. Although I was using the pulse-eight generic builds. The pulse eight builds have a few extras bits, including the CEC drivers. Nice article. After months of investigating and compiling lists of parts to build (an over-specifieded) XBMC I decided to go down this hardware line. 4GB ram / 500Gb HDD no dvd or bluray model £200. Using OpenElec (generic 1.95.5) and after a bit of a fight getting the USB to boot (had to change usb stick in the end and enable in BIOS) got int onto the HDD. Install went smooth. Boots very quickly, not had stop watch on it but under 20 seconds easily. Had difficulty with HDMI audo but then found article that helped. In XBMC System / Audio Output to HDMI and correct speaker setting. then in Audio Output device select Custom the enter “plughw:1,3” in appropriate field, same in Passthrough settings fields. This seems to have cured it. Prior to this XBMC setting I did ssh onto the box and “set plughw:1,3” but that did not work. You might need to do both of these. Not done extensive testing but what I have working fine. I find it difficult to install ubuntu via usb. I have freedos and I can not boot from disk. How did you install ubuntu? What problems are you having installing via USB? You can either install using USB or install using an external DVD drive. You will need to enter the bios and change the boot priority so that the external USB device boots before the HDD. Good article Rob, did you run into any trouble getting the WIFI chip working on the q180? I’m looking to buy one and would like to put a 11.04 Ubuntu on it. No issues with the wifi chip here. 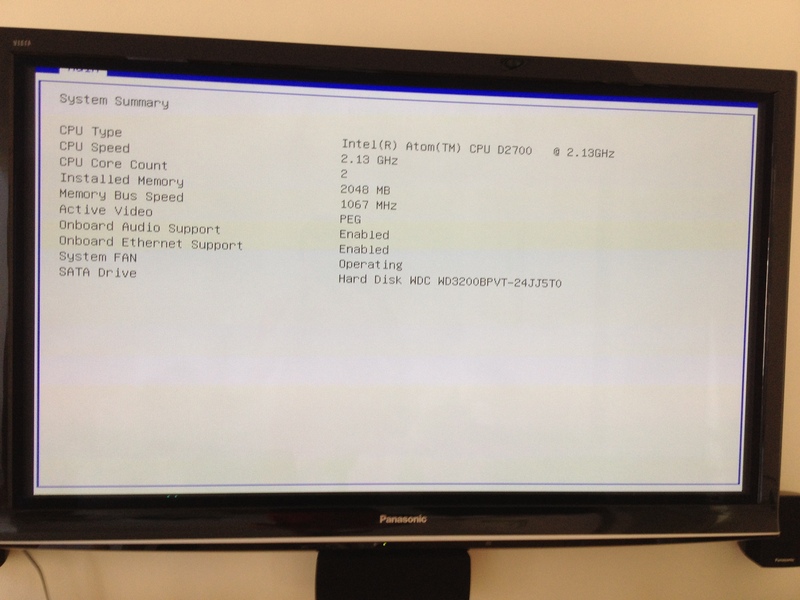 Running OpenElec v2.0 currently. Works fine under Ubuntu 12.10 x64 too! I’ve been really spoilt by the fanless side, and not sure if I can stand a whirring away again. Hence I’m scouring the net trying to find the quietest replacement with enough grunt. Price really isnt a big issue (I use it for work). Would you recommend this? I am kind of new to this stuff, so could someone advize: which openelec to use for my new Q180? There are multiple versions on the link you provided. Id recommend using the ‘Generic’ builds. I have a Lenovo Ideacentre Q180 and I can not install ubuntu on Q180. 4) Loading screen on a black background with a choice 1) Try Ubuntu without installing 2) Install Ubuntu …. 5) Сhoose to install and simply follow the steps Installer. how to install ubuntu on q180?